UPDATED 2019-04 to include revision guides for FREN 102. Welcome to a second post remembrancing Guillaume Apollinaire, through keeping his poetry alive by sharing it with others and opening it up to continued reading and to creative continuation. 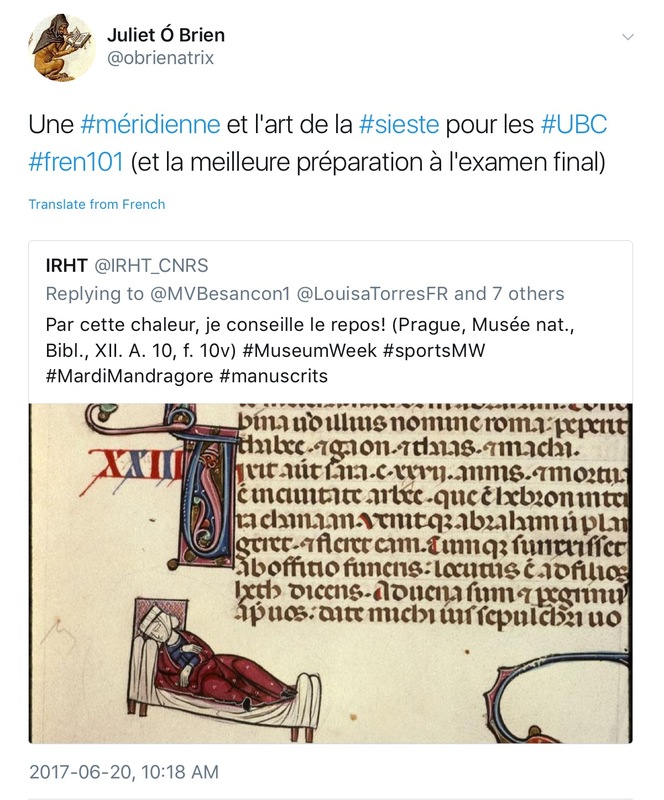 It’s never too late or too early to start: this post is about an assignment for a beginners’ French course (UBC FREN 101). The assignment itself can be adapted to put into practice a range of lexical and grammatic knowledge and can be tweaked to different learning levels, and its underlying raison d’être ideas can be translated to other languages (modern or ancient, living or dead or sleeping) and their cultures.